Text: Saori Hashiguchi which is served as a starter in Yokohama Nanjin town (currently called China Town) and he scouted a Chinese dumpling chef “Wu Suin”. After a continuous trial and error ,the founder of the Kiyoken, the manager and Suin created the first original shaomai in March 1928. The bite-sized shaomai featuring the rich flavor of pork and eye of scallop is easy to eat and delicious either hot or lukewarm. The old fashioned shaomai has been cooked by the same recipe since then. Addition to the standard “old fashioned shaomai”, The taste of “The special shaomai” which is one and half size bigger and put more eye of scallop is richer flavor. That is best for a gift or souvenirs. “prawn shaomai” which is featuring the unique texture and the flavor of fresh prawn. “crab shaomai” which is featuring selected Zwai crab and deliciously packed the flavor and the texture of that. The other family of shaomai menu except take-out shaomai are standard train lunch “shaomai luch box” firstly appeared in 1954. Best seller over a half century menu “Yokohama stir-fried rice” is added extra flavor by original char siu (Chinese-style barbecued pork). Those line-ups are available at Kanagawa , Tokyo, Chiba, Saitama stores. 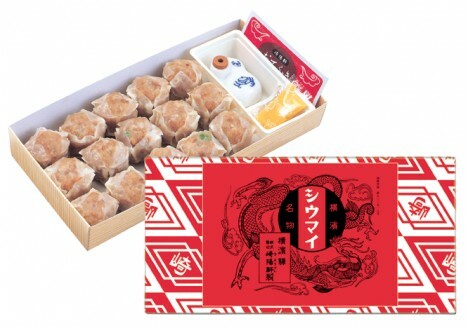 And also we can purchase a shaomai by mail order. Main shop of Kiyoken where is located just after the east exit of Yokohama station, expands the other type of original restaurants such as a tea salon “THE ARBORETUM” which is serving 26 different teas and cakes and scones, “beer restaurant Aribaba” serves popular lunch buffet, The theme of “Trattoria Il Saggio” is traditional Napolian food and Yokohama. “Chinese cuisine Kakyu” serves “romantic Cantonese” created from global cooking philosophy based on Cantonese suisine.